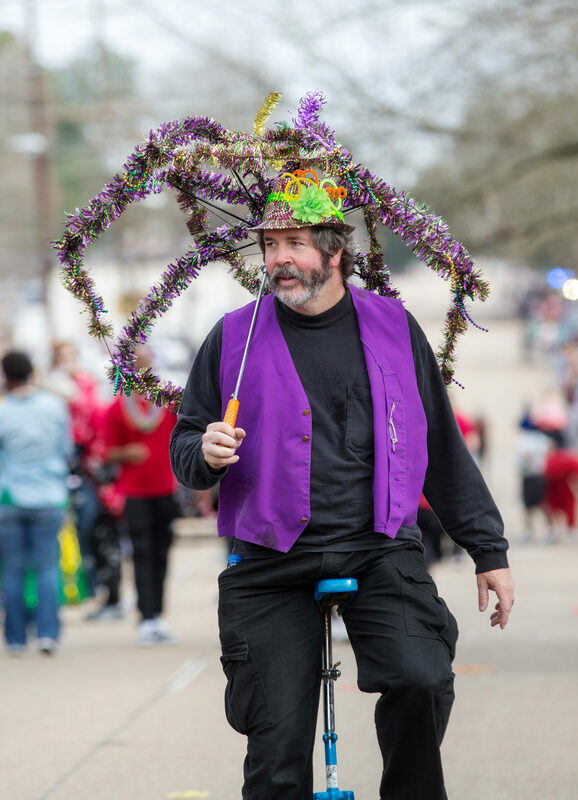 The Mardi Gras revelry in Baton Rouge is usually relegated to downtown and Southdowns. But last February, it found its way to Mid City for the first time. 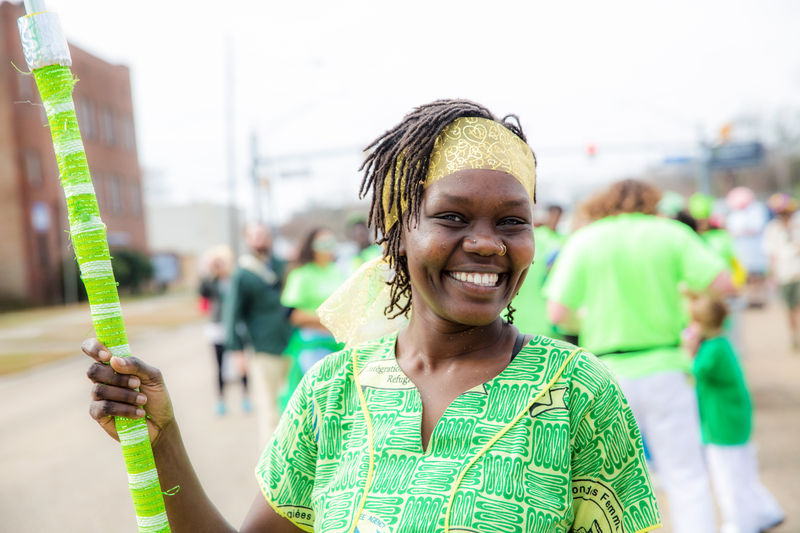 The Mid City Gras parade took over a 2-mile stretch of North Boulevard for a celebration of all that makes the Baton Rouge neighborhood unique. This month, Mid City Gras is back for a second round. The parade was conceived by a group of Mid City residents who met at The Radio Bar in 2017. The goal was to unite the community and celebrate its diversity, says board president Twanda Lewis, a longtime Mid City resident. “We wanted to make the parade inclusive—every gender, race and socioeconomic level—to represent the diversity of Mid City,” Lewis says. Mid City Gras far exceeded the board’s expectations in its inaugural year, with a higher-than-expected turnout and all manner of Mardi Gras traditions: marching bands, dance troupes, makeshift floats and more. This year’s parade aims to build upon that framework with more floats and a full-blown ball at the Capital City Event Center on Feb. 2. 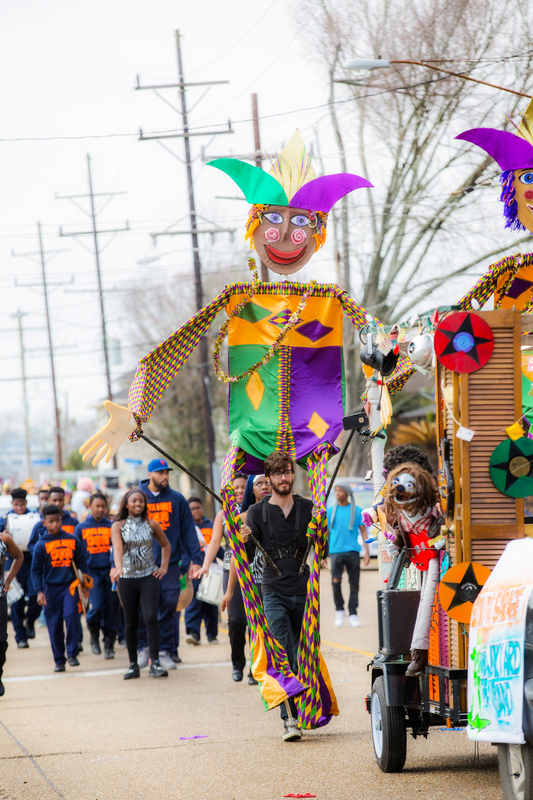 For this year’s parade, expect to see hand-crafted floats exploring Mid City culture, festive costumes exploding with color and the parade’s trademark squirrel mascot, adopted to commemorate the squirrels who frequent the bountiful oak trees of Mid City. Looking forward, Lewis and the board hope to see the organization become well-known in Baton Rouge for more than just its parade—if all goes according to plan, it will become a key player in community building and service in the Red Stick.